Photo of: West of Ireland: Clare. In the distance is the magical Clare Burren, a limestone area created from the seabed and glaciation. 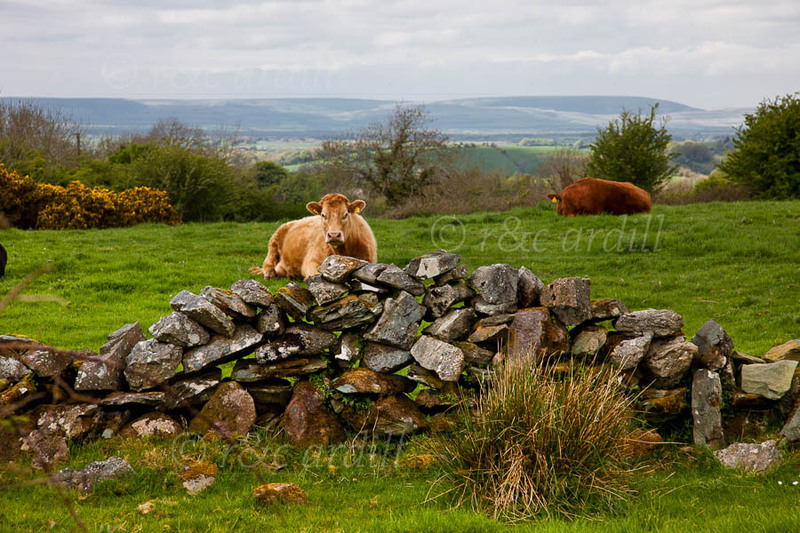 In the foreground this photograph captures the walls of the West of Ireland and the rather suspicious-looking but placid, fat cow.